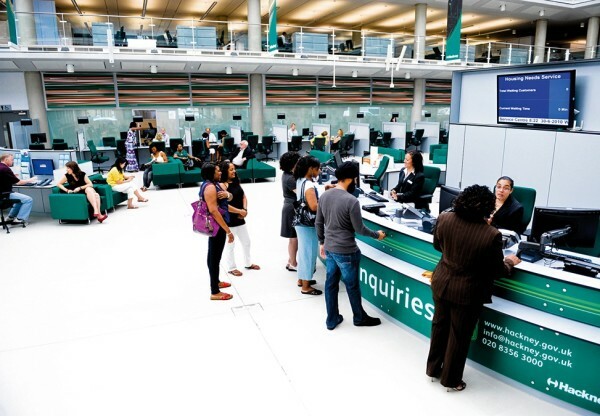 Hackney Service Centre is an addition to the existing Town Hall built to house the Local Authority's administrative staff and to make a place of contact for their borough residents. The council and ceremonial activities will continue to take place in the Town Hall. 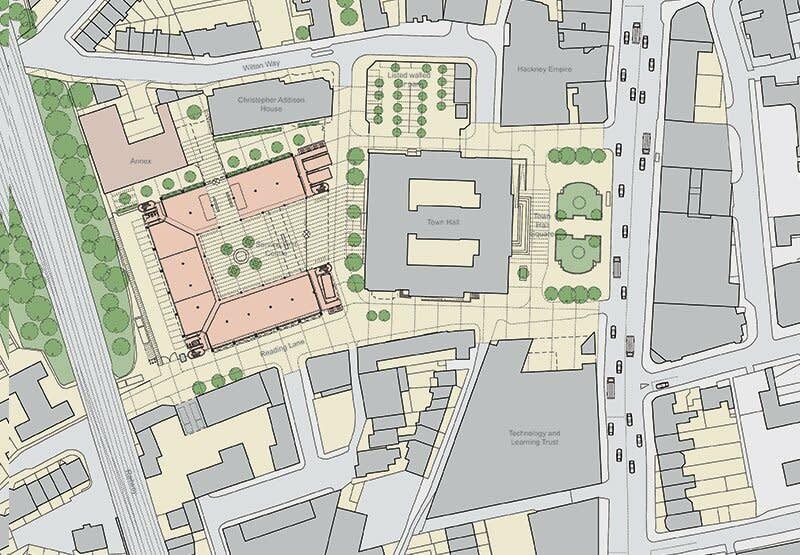 The new building occupies five principal floors, with a main entrance from a new plaza area on Hillman Street. 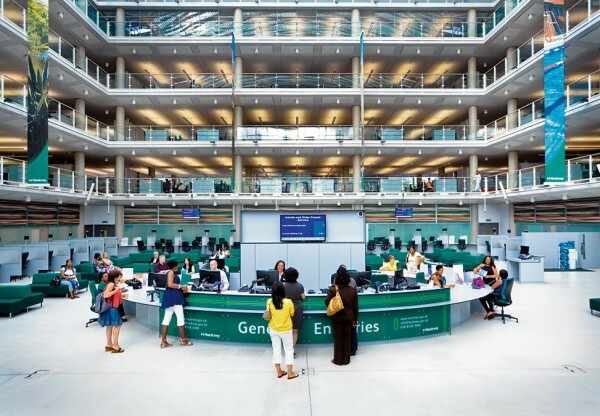 At its heart is an atrium, the main focus of the building, housing the Council's public reception, known as the One Stop Shop, with a waiting area, cafe and call centre. 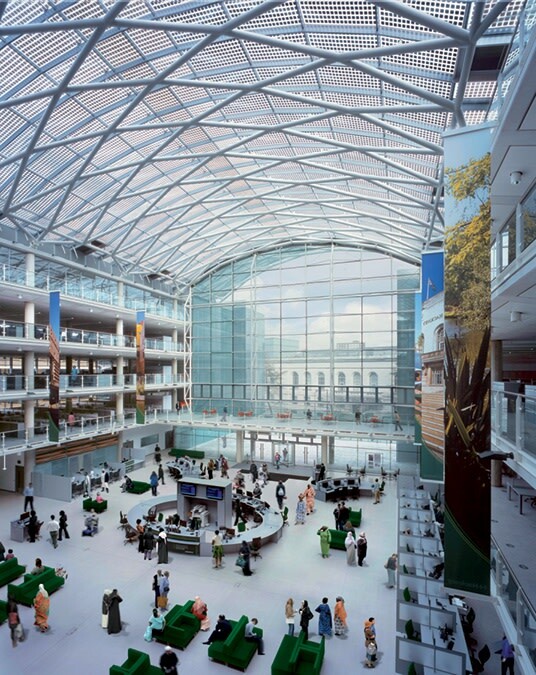 The upper floors, entered on the corners accommodate the staff lifts, and stairs provide animated, visual signals to the building. The accommodation on the upper floors is mainly open-plan workspace with areas for support, informal meetings, break out and tea points. The BREEAM Excellent building services specification demonstrates a 10% reduction in carbon emissions and 10% of energy generation from renewable sources. 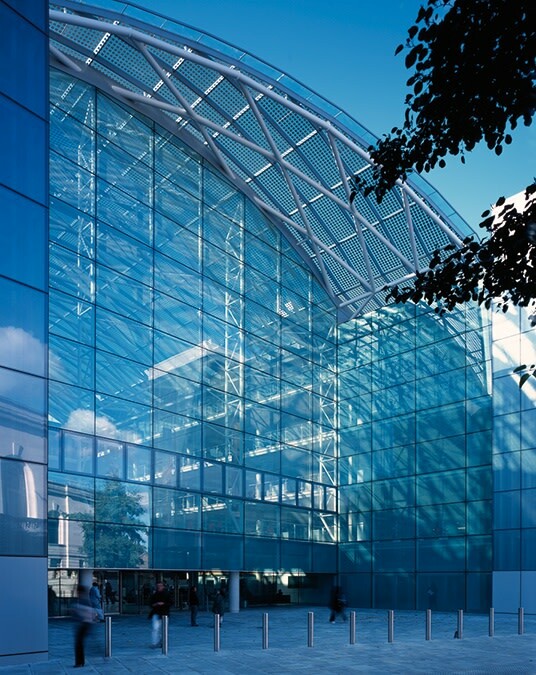 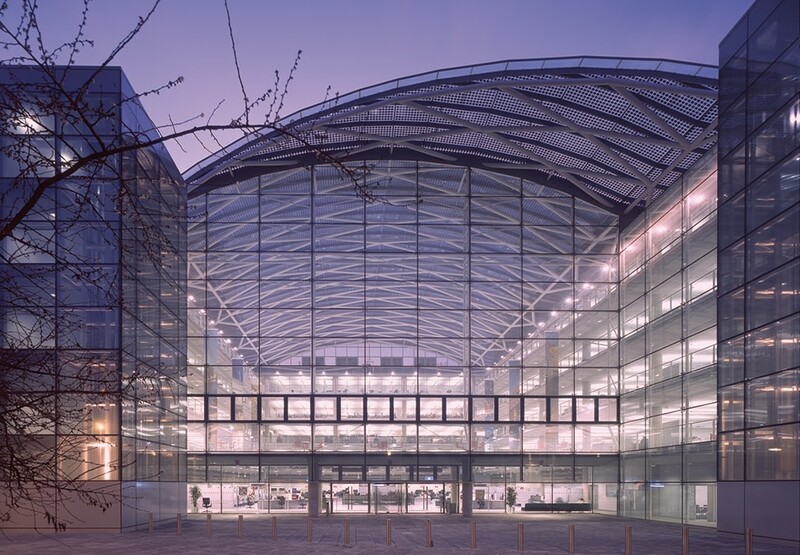 This is achieved by providing a combination of gas and wood pellet boilers as well as a large array of photovoltaic cells integrated in to the glazed atrium roof.